In the latest airport survey carried out by consumer organisation Which? Travel, Inverness was the top of the Scottish Airports when compared with Aberdeen, Edinburgh and Glasgow. Inverness Airport earned the highest customer score, despite being the smallest, earning a 68% customer score. Those surveyed said it “operated well” and was “pleasant” and “friendly”. In contrast, Aberdeen International Airport has been rated the worst airport in Scotland for the last four years running, achieving just 49%. Inverness Airport General Manager, Graeme Bell, said: “A big thank you must go to our hardworking team who continually deliver the best possible customer experience without them, we would not have received this recognition. Being rated by our customers as the best airport in Scotland recognises the hard work and dedication from all our staff, who ensure our airport meets the high standards and service expectations of our passengers. Our teams go out of their way to keep Scotland moving, often during unsociable hours and challenging conditions. 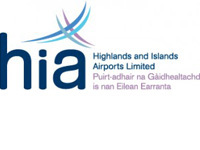 “This is a real vote of confidence for Inverness Airport and further proof that the airport is continuing to go from strength to strength, with new routes improving connectivity and increasing passenger numbers each year. As a vital driver for the region and the Highlands and Islands economy. Rory Boland, Which? Travel editor said, “Whether it’s for business or pleasure, for most Scots their trip starts when they get to the airport, but long queues and poor facilities can really put a dampener on your getaway. Read the full Press and Journal article.